Established in 1984, All Phase Electrical Contractors offers exceptional electrical services to our customers located in Los Angeles and the surrounding areas. Our electricians are capable of handling various electrical installations, repairs, maintenance, replacements and much more. We offer services to both commercial and residential customers. With our experienced electricians, we always make sure that we deliver an unmatchable service, every single time. No job is too big or small for us. Customer satisfaction is what we always strive for. 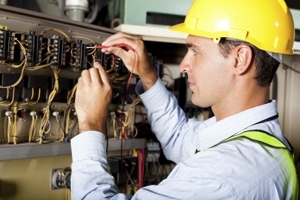 For all your electrical requirements, call us at (323) 212-5704.